The OTDR plug-in range is the fastest in the industry, offering the highest performance solution of any OTDR field instrument on the market. 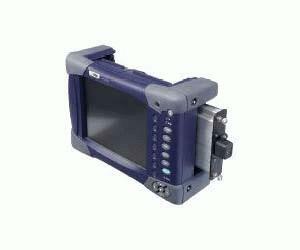 JDSU offers over forty different field-interchangeable OTDR plug-ins, covering both multimode and singlemode networks, from very short distance (FTTH) to ultra haul, at any wavelength between 850 / 1300 / 1310 / 1383 / 1490 / 1550 / 1625 nm. The SRe is a short range singlemode module for FTTx/Access applications.